Parenting is changing- have you noticed? The old paradigms that worked for our parents’ generation are transforming. Our new values, built around love and connection, are leading us to birth and parent more gently but also more purposefully. Happy Healthy Child will give you the resources and support you need, right from the start. Happy Healthy Child brings together an incredible group of world experts, including myself and many of my favourite writers and speakers. 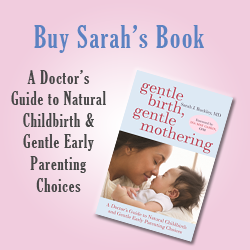 Film-maker, educator, and mother of two Sarah Kamrath has done the hard work to provide this essential information, what you need to make the choices that are right for you and your family from pregnancy to early parenting. Happy Health Child is a set of DVDs that you can watch at home with your partner, family and /or friends. Grab your copy here ==> http://bit.ly/HappyHealthyChildDVD.